The international bestseller, translated from the German by Simon Pare. On a beautifully restored barge on the Seine, Jean Perdu runs a bookshop; or rather a 'literary apothecary', for this bookseller possesses a rare gift for sensing which books will soothe the troubled souls of his customers. The only person he is unable to cure, it seems, is himself. He has nursed a broken heart ever since the night, twenty-one years ago, when the love of his life fled Paris, leaving behind a handwritten letter that he has never dared read. His memories and his love have been gathering dust - until now. 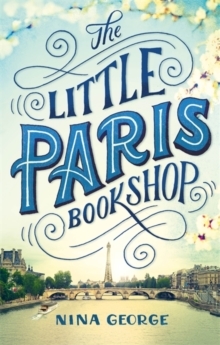 The arrival of an enigmatic new neighbour in his eccentric apartment building on Rue Montagnard inspires Jean to unlock his heart, unmoor the floating bookshop and set off for Provence, in search of the past and his beloved.